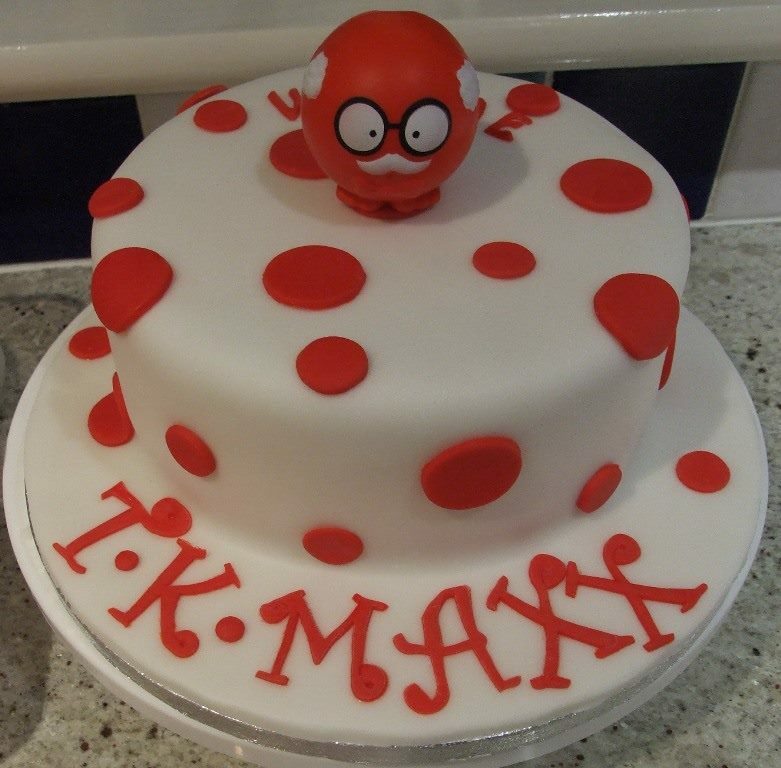 I was really happy to be asked to make some special Comic Relief inspired cakes for T K Maxx Newbury. They added the cakes to their fundraising raffle, in their mission to make as much as possible for this excellent cause! 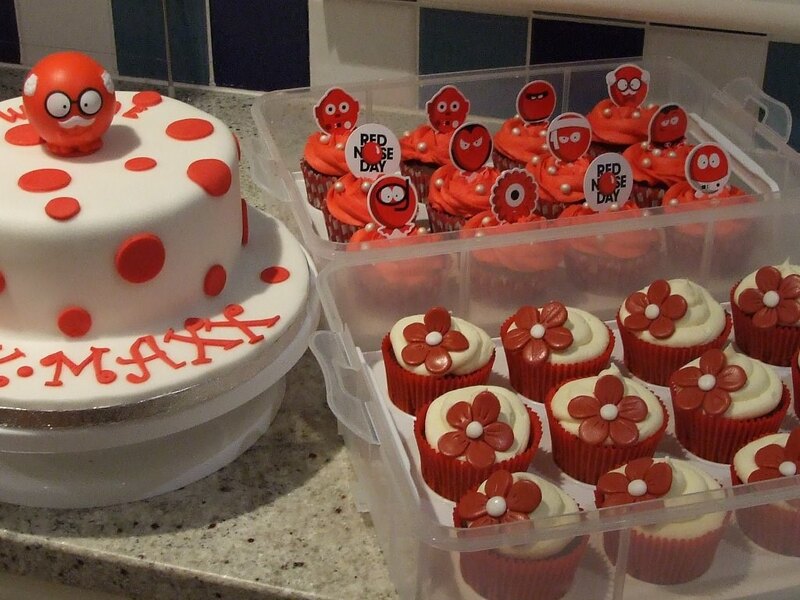 Comic Relief supports some amazing projects in the UK and all over the world. If you’d like to donate, you can still do that on their website www.comicrelief.com/donate, even after Red Nose Day. Thank you to the kind people at TK Maxx for asking me to help with this great cause! As January whizzes past and February appears, I thought I’d share the first cakes of the year! 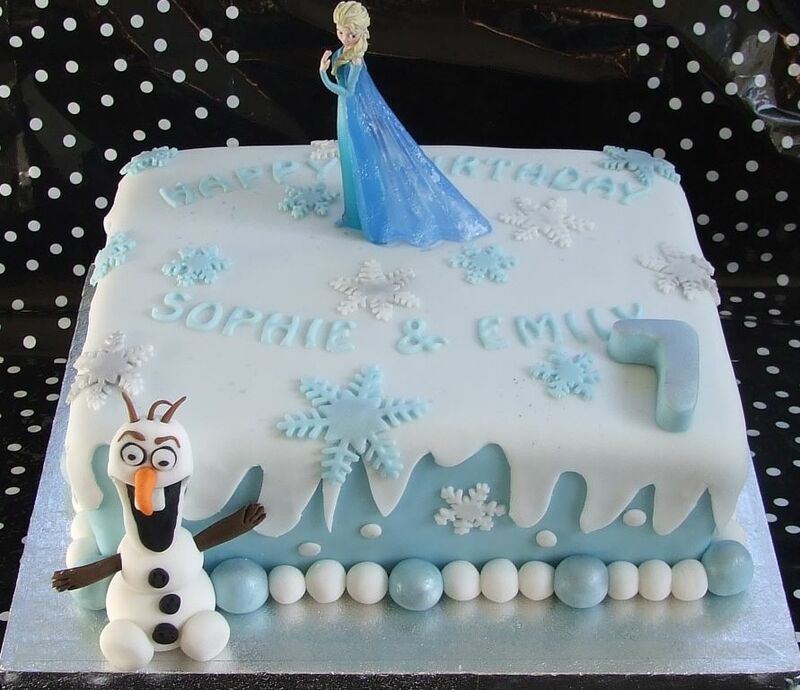 I’ve loved developing lots of different ‘Frozen’ inspired cakes, they seem very popular at the moment. I particularly enjoy making the icing Olaf! The second cake of the year was a very classy suggestion indeed. It’s great when customers come with a bold design in mind, block colours and simple shapes work really well when using icing. And the last cake of January took the longest to make, but I had the most fun doing it. It’s got lots of different elements: a handmade modelling icing figure with little hand made wire glasses, ‘soil’ made of crumbles of chocolate cake, and lots of other little icing elements that I always enjoy making! He’s just so cute! The chocolate coins represent this gentleman’s love of metal detection. Maybe in his 80th year he’ll strike gold. Please do get in touch if you have any birthdays, anniversaries, or other celebrations coming up. 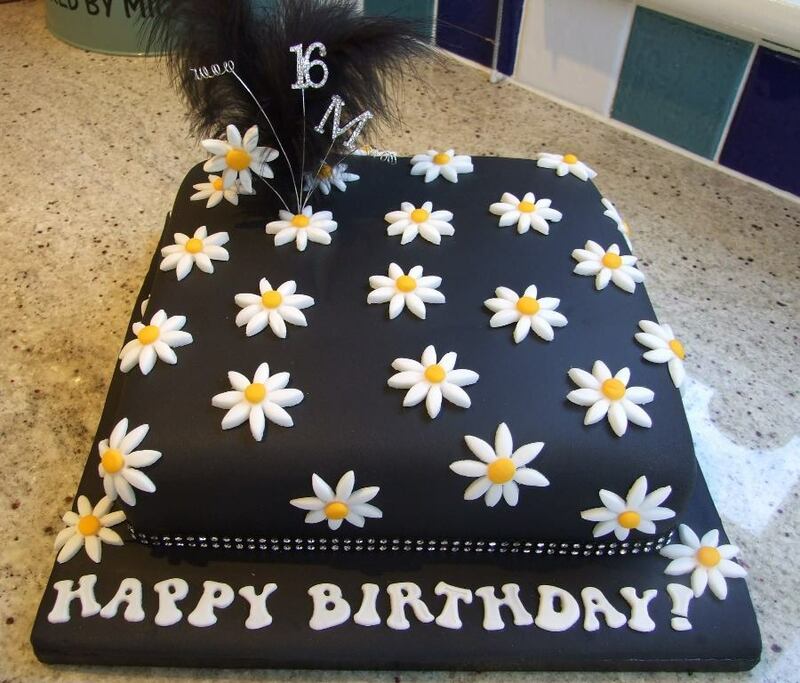 Ooops… found this fantastic mistake-cake online. Not one of mine 🙂 Just a technical hitch, no problems with the cakes here! 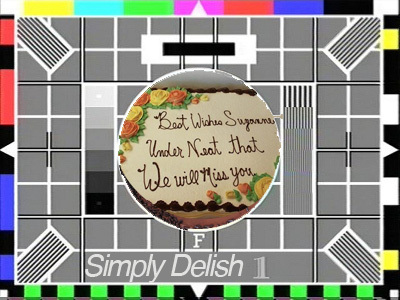 Just a quick note to apologise to anyone who has got in touch but hasn’t had a reply recently. I had a bit of trouble over November and December with emails going astray when they were sent using my online enquiry form. The enquiry form should be working perfectly now. But, if you don’t hear from me after using the online form, you can find me on facebook, or just give me a call, 01488 – 733 -29 between 9am-9pm! Sooo … Christmas is coming, the goose is getting fat. Have to say, have never been a fan of goose but I do love Christmas and I always steer clear of any Christmassy type foods until the day. I love the anticipation of those first Brussels sprouts … yes, I know I’m weird but I love them and the fact that I deny myself these lovely goodies – parsnips, baked ham, mince pies – makes them all the more desirable on Christmas day. By the same token, I love to eat with the seasons and enjoy fruit, vegetables and even meat at their best and freshest. Having said that, I am happy to fulfil other peoples likes and to this end produced the first mince pies of the season yesterday. They did look enticing but I was happy to send them on their way. The next few weeks will be filled with Christmas preparation – hampers to gather, cakes to ‘feed’ (the brandy is taking a bashing!) and decorate. Pies and biscuits to bake. A few birthday cakes and a couple of celebrations to fit in as well. We gave our sloe gin a couple of shakes today and had a swift taste of last year’s brew just to make sure it hadn’t gone off! Filled with anticipation, it was returned to the cupboard to be released on Christmas eve. 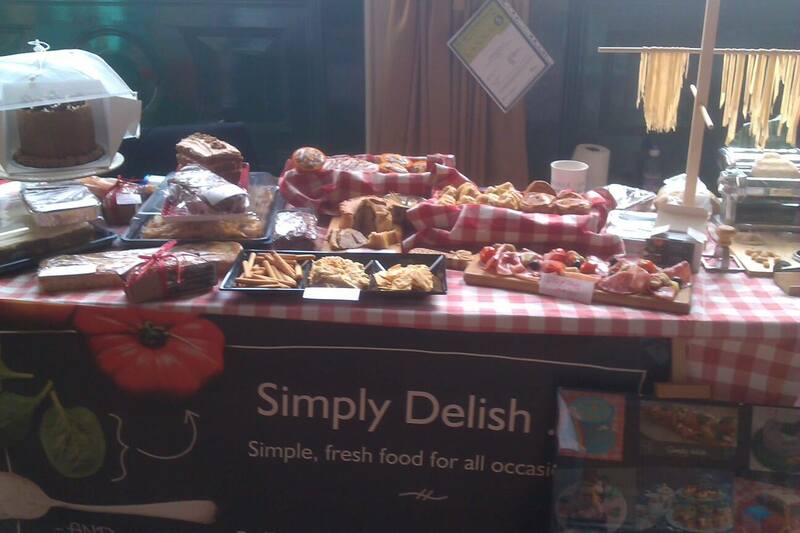 The end of December will see Simply Delish celebrate 6 months in business …. it’s been a rollercoaster. Here’s wishing you all a very Merry Christmas and Happy and Peaceful New Year! Two days of frantic baking and crazy preparation still didn’t prepare me for this wonderful day which celebrated all kinds of food from amazing mushrooms to bacon sandwiches! My first time in the public domain was thrilling – if a little scary – and left me keen to re-visit this type of event. 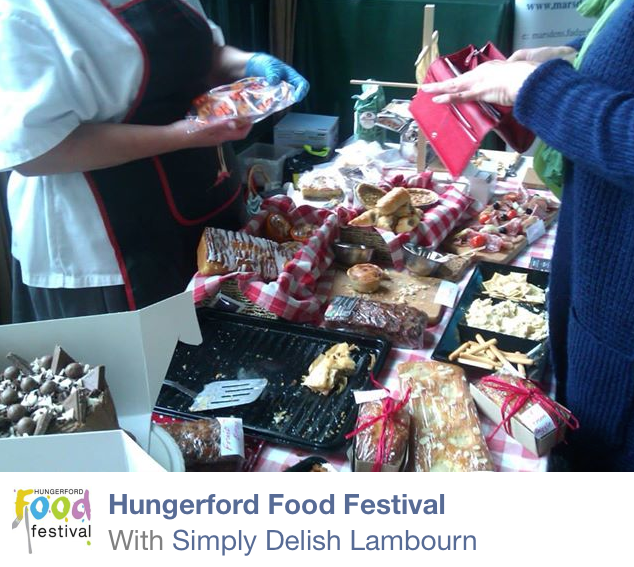 My stall at the Hungerfood Food Festival – before all the hungry shoppers! I have to admit that things didn’t get off to a great start as our lovely dog Oscar was poorly which meant my KP (aka Robert) couldn’t come with me. This was then compounded on arrival at Hungerford Town Hall only to be told that my table was upstairs! I had heavy boxes and far too much with me but, undaunted, began to unload my car. As luck would have it the Town Hall has a lift, so I quickly piled everything outside then called the lift and off I went. I took far too many things but this gave me a great insight into what people like and what they are literally ‘hungry’ for. Sampling was definitely the way to go with people tasting then buying. Everything on my table sold and the whole day was a brilliant experience and a big confidence booster. 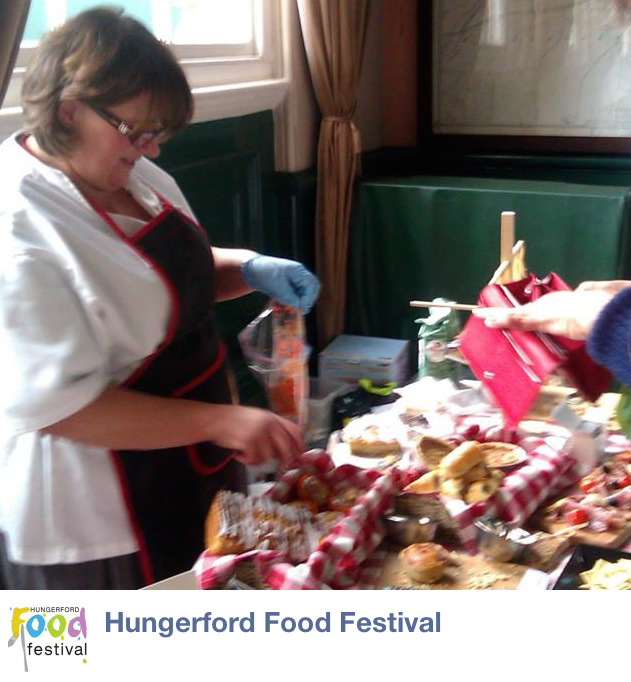 My pork pies were very well received, as were the sausage rolls and cakes – by the slice or whole cakes. The biggest surprise was the hummus…. it was the star of the day and was certainly popular. I ended up selling bags of hummus as I left the containers at home! A grand day – thoroughly exhausting but exhilarating. The fun part of the day was demonstrating pasta making. I’d had second thoughts about doing this as I was on my own and thought I wouldn’t be able to juggle the demo and the sales but people were happy to watch as others dared to take on the pasta machine. Children particularly enjoyed making the gnocchi – a simple introduction to pasta making which requires no machinery and great results can be achieved with only a cheese grater. If you don’t have a cheese grater, then a fork will do. I’d love to hear from anyone interested in learning how to make pasta as I will be offering courses in the new year… drop me a message in facebook (https://www.facebook.com/simplydelishlambourn) or email me micky (at) simplydelish.co.uk to register your interest and you’ll be the first to know when booking opens! I know, I can’t believe it either. But as Christmas draws near, I have been asked to produce some tasty bites for Christmas parties and the holiday period, so I’ve started to feel a little festive already. Now’s the time to get your order is, so contact me with all your ideas for Christmas treats, gifts, or hampers, and I’ll see what I can do. 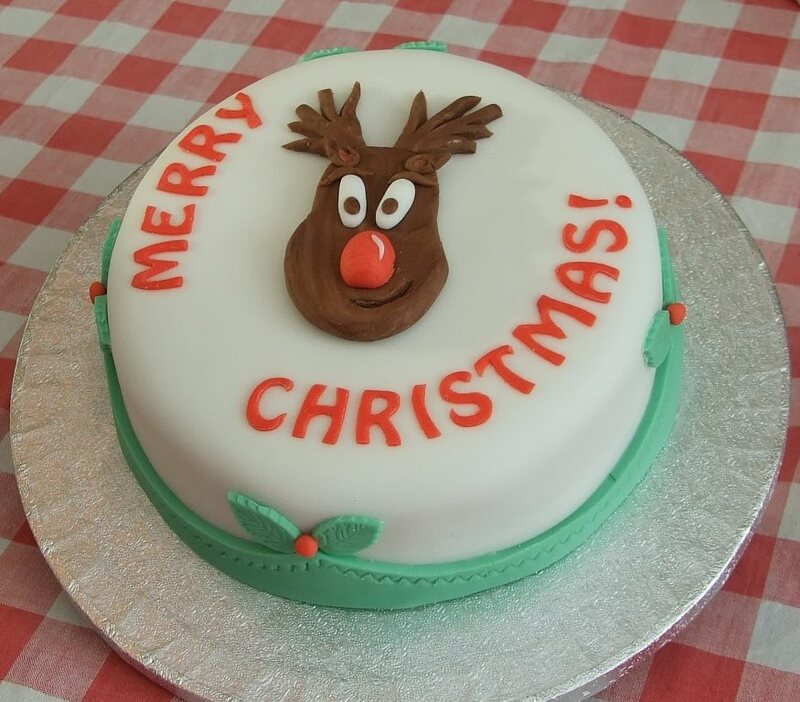 Christmas cake, pork pie, sausage rolls, and macaroons to tempt you! All meat based goods to be ready for collection on 23rd December 2014 after 3.00pm. 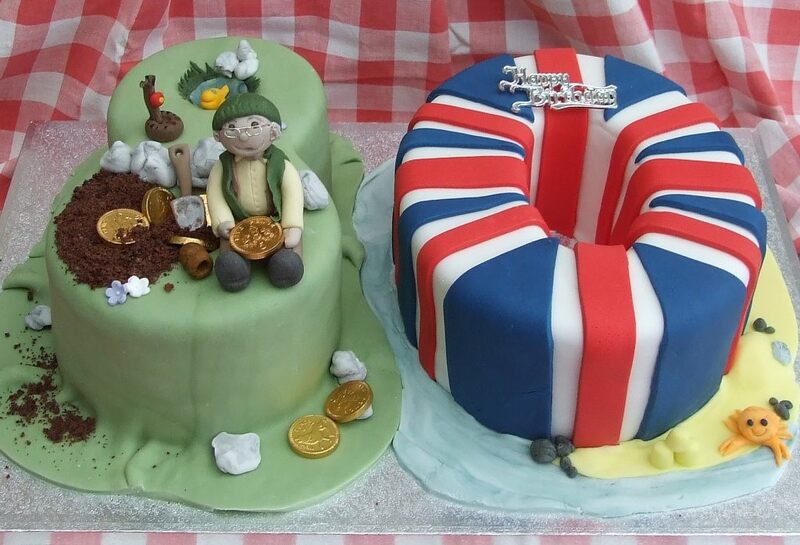 All products made using quality ingredients and decorations all hand made. I am also happy to do food for pre-Christmas or New Year’s Eve parties, such as canapés, savoury tarts, sweets tarts, puddings, meat platters, and dips. Please enquire if you have any questions at all – you can use my email or Facebook page. Christmas pudding-cake, macaroons, shortbread, fudge, and some cheeky sloe gin ‘winter warmer’! Well …. where do I start. 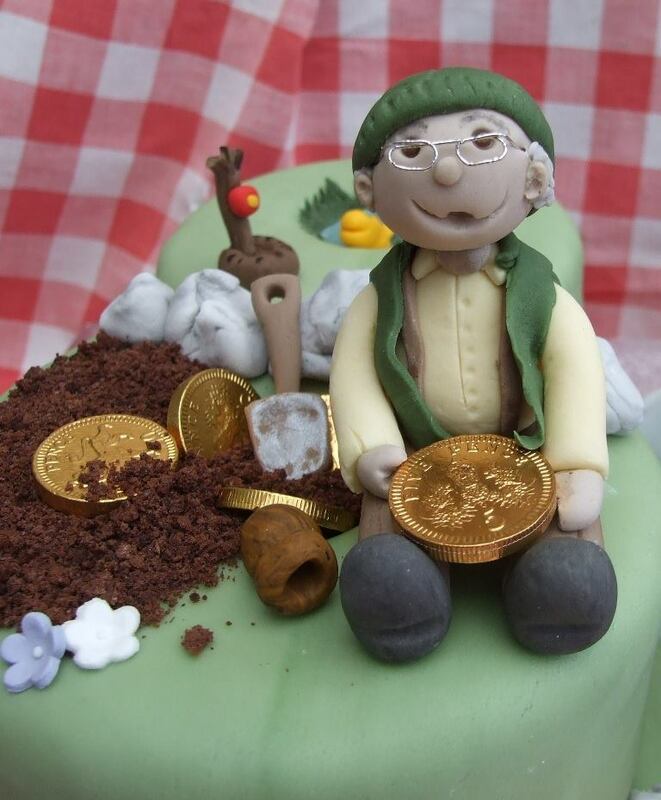 I thought I would be blogging to my heart’s content but, somehow, the time has flown by and I have been busy making cakes and producing buffet food for some lovely people so haven’t been here for a while! Birthday cakes, in particular, are flying out of the door. All very different; chocolate, vanilla, carrot, multi-coloured – yes, multi-coloured – check out the Rainbow cake for a very special birthday boy on Facebook. Brilliant fun to make and very exciting to be experimenting with colours. I really enjoy producing food for lots of people, so particularly like doing parties. 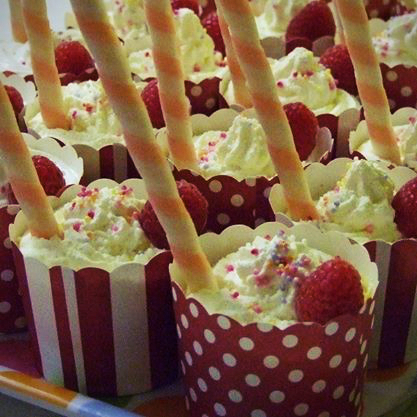 Themed parties are always a bit of a challenge, but researching and preparing food to bring back memories of a certain era or tastes we may have forgotten is all part of the service. I also enjoy gathering accessories to bring everything together, for example the vintage cups for the trifles made for the 1950s dance. There’s so much out there and all very readily accessible, and the little touches can really make the event that little more special. Retro trifles for Cheek2Cheek’s 50s do! Most of all, I’ve enjoyed the seasonal produce which has flooded my kitchen. I’m lucky enough to have my own supplier – aka dad – whose garden overflows with goodies throughout the late Spring, Summer and through to Autumn. Marrows, tomatoes, beetroot, beans, and more, all organically grown and abundant, and perfect for vegetarian dishes. Usually I hate the term ‘vegetarian food’ as it can put dedicated meat-eaters off. But Italian cooking encompasses a vast array of dishes which are vegetarian, tasty and have guests coming back for more. Take, for example, melenzana or zucchini parmigiana; aubergines or courgette, sliced, battered and layered with luscious tomato sauce, mozzarella and parmesan, then baked until the mozzarella oozes. In effect, a vegetable lasagne! So tasty and equally good cold – in a sandwich with thick bread and plenty of butter! Tomatoes are now in abundance and beautiful when ripe, chopped up and mixed with day old (good) bread, salt, olive oil and oregano. Spruce up with feta cheese, olives and cucumber for a lovely summer lunch. So simple, so tasty. If you have a favourite summer or autumn recipe I’d love to read about them, drop them on my Facebook or Pinterest pages! Most people traditionally associate jam making with the later stages of summer when fruits such as plums and blackberries are ripe. Of course you can always start with making strawberry jam around June, but it seems a shame not to eat the early crop fresh, or just with sugar or cream. However, the Gooseberry is a perfect fruit to kick off the jam making early with. It’s a pretty ugly fruit, with a horrible texture and something of an acquired taste. But it makes probably the best jam out of all the fruit: tangy, sweet with a tang, and a runnier set. This is an easy jam for first-time preservers to make and usually sets nicely. If you’re lucky, the jam will turn from green to pink as it nears it’s jammy readiness! Put into jars as soon as the heating process is over. I use a glass measuring jug (which has been sterilised too) to fill the jars. Wipe off any spills (be careful, the jars will be hot! ), add wax circles and jam pot covers, then screw lid on tightly. Enjoy on fresh bread and butter but equally good on toast. A preserving pan or saucepan with a heavy bottom! Have ready 5/6 1lb jam jars that have been properly cleaned and sterilised. I run mine through the dishwasher then dry them upside down in a low oven. Wax circles are good if you have them and transparent jam pot covers seal in the freshness and protect the lids until you are ready to use. I also have a funnel which makes pouring the jam into jars so much easier. (All readily available in high street or online – just search for jam making equipment). * Wash your elderflowers and make a bag with the muslin to put the flowers into. * Bring gooseberries to the boil and let them simmer until soft. * Take off the heat, then add sugar. Stir until all the sugar has dissolved (if you use a wooden spoon, you can feel if there is any undissolved). * Put back on to heat and bring to boil. Hang the muslin bag from the saucepan handle so that it is submerged in the jam. * Simmer until you get to the jam setting point on your thermometer! If you don’t have one, use a saucer which has been in the freezer for a few minutes. Carefully, take a teaspoonful of your mix and put it onto the saucer. If, after a couple of minutes, you get ripples when you drag a spoon through, it should be ready. I always do this, even with the thermometer as sometimes it’s still a bit watery and may not set very well. You’ll notice that it starts to cling to the spoon and reduces down quite a bit once it’s ready. Remove the muslin and discard the flowers. * Get that jam into jars! I added my elderflowers when the jam was nearly ready as I didn’t have any muslin, so I plucked off all the tiny flowers and threw them in right at the end. I always add less sugar as well but if you are not confident follow the recipe so that the jam sets nicely, then if you find it too sweet you can adjust the sugar next time. Whatever you do, don’t be tempted to taste the jam when hot as it this will not have a very pleasant outcome!